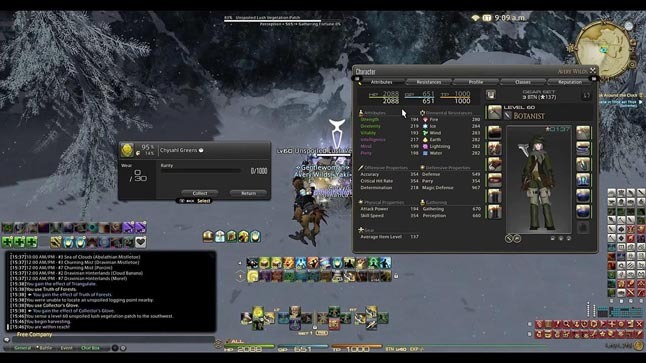 The gathering and crafting system of FFXIV is very unique actually, and it also share some similarities with how classes work. 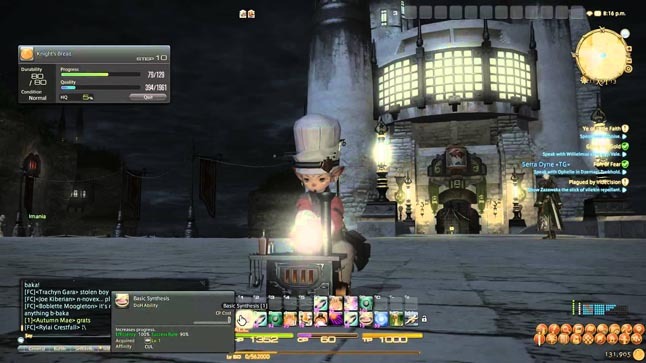 Once you have reached level ten, you’re allowed to go to the nearby city and unlock each crafting and gathering class, which can be used by again, equipping its specific tool, much like your combat class. You’re not limited to the number of gathering and crafting classes you can learn, and they all share separate experience progression. Crafting itself isn’t just “click to make this with X ingredients” either. You can play a sort of mini – game with your abilities to create your item – the aim is to successfully craft the item, with the highest possible chance of it becoming a high quality item, and without breaking it which results in a loss of materials. As we mentioned above, high quality items reward double experience, but they also give off better stats than their normal counterparts. 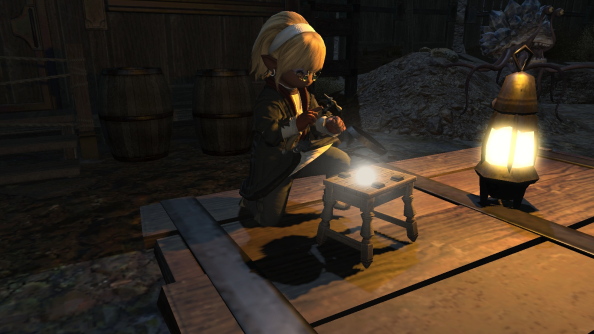 Each crafting class has its own set abilities: they do things like increase the durability of an item, increase an action’s success rate and increase the quality; some give more quality, but at a reduced success chance. Keeping in mind that some of these actions reduce an items durability, almost all also consume a resource called CP. Just like combat classes, you can also borrow some abilities from other crafting classes once you’ve unlocked them. All in all, it’s a juggle between managing your CP, item durability, and crafting progress. Gathering is very similar. There are three on offer: Miners extract minerals from stone, Botanists harvest wood and plants, whereas Fisher’s naturally reel in the fish. You will use your abilities to hunt out and find hidden nodes to harvest whatever it is you’re gathering. Just as CP was a resource to crafters, GP will be a gather’s resource, which is spent on increasing the chance of harvesting high quality materials. Gathering classes also come with some cool abilities – an example would be the Miner / Botanist ability to stealth past enemies in order to get to dangerous high – risk nodes.